A hike to a maayan, a natural spring where water finds its way out of the limestone hillside, is a great outing for the whole family. At some point someone cut into the bedrock to make a pool, perfect for a dip on a hot summer day. 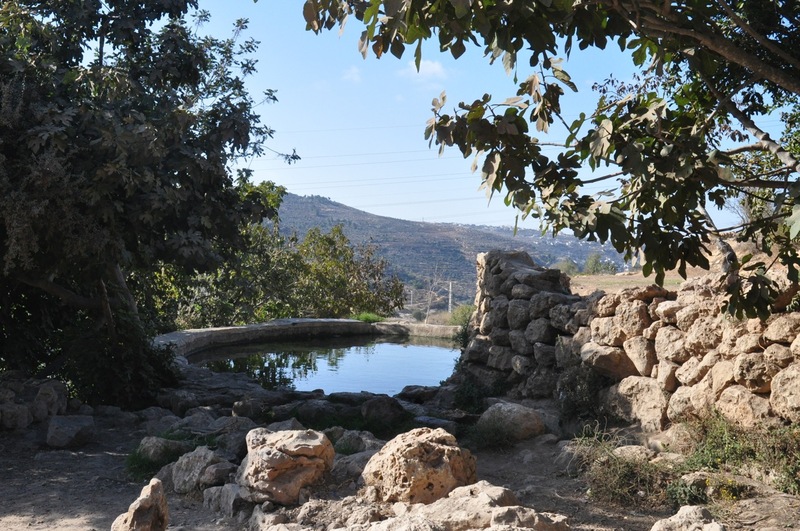 There is even a trail, Shvil HaMayaanot, from just before Even Sapir that goes by a number of springs and pools. 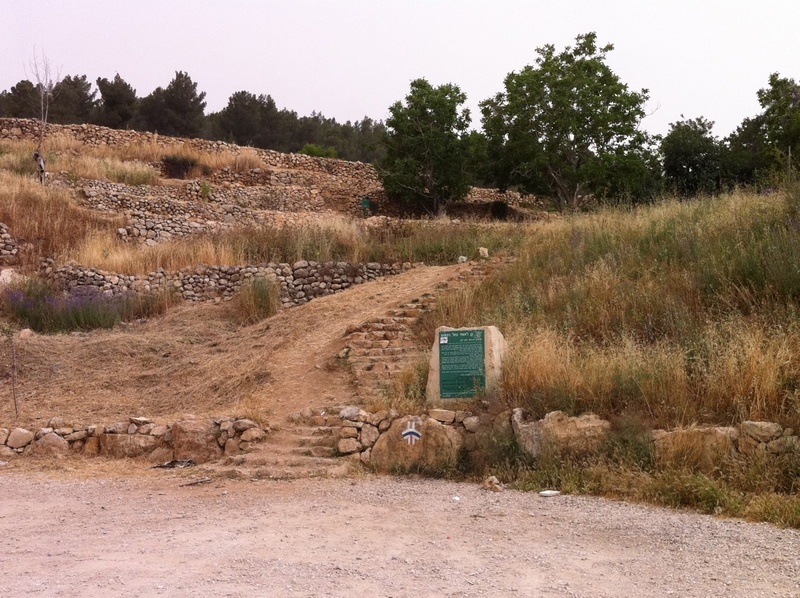 Drive out to the Jerusalem Biblical Zoo near Malcha (itself a fun destination for the whole family) and park the car at the farthest parking lot, a road with a blue trail marker continues west to 2 springs (it’s also possible to drive it but then it won’t be a hike). To your right the hill above the trail is called Rekhes Lavan (White Ridge) because of the kirton (chalk, a soft kind of limestone) and the valley below to the left with the train tracks is Nahal Refaim (Valley of Ghosts). After following the winding road you will come to a small parking area, a green Parks sign and steps on your right. Climb the stairs to Ein Lavan that fills 2 pools, a shallow one for smaller children or for cooling your feet and a deeper one, about 1.5 meters, great for swimming. 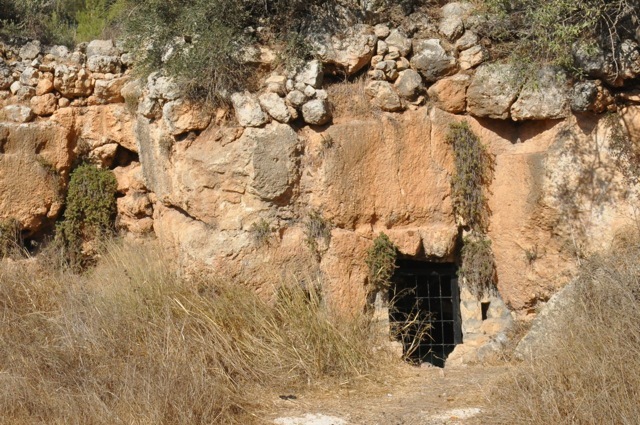 After your picnic follow the spring back towards it source to find a burial cave from the Second Temple period. 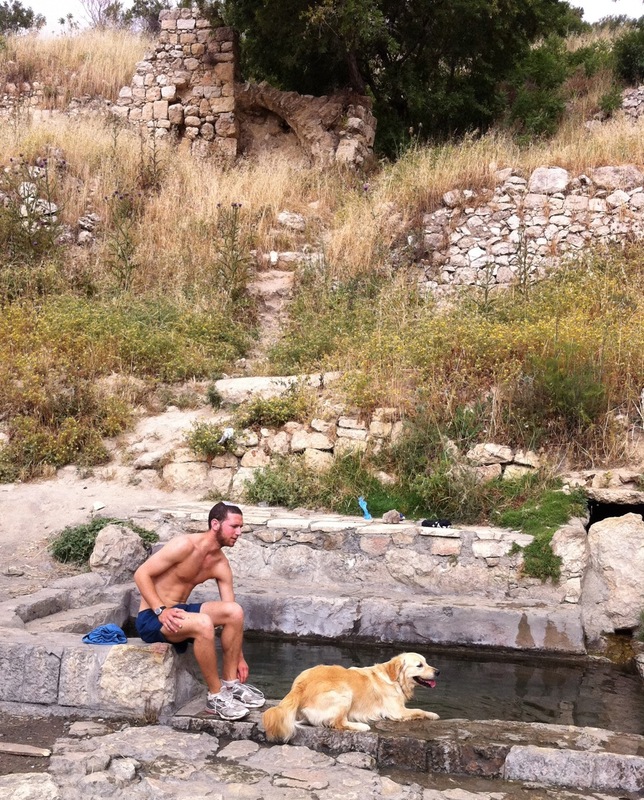 The second spring, Ein Itamar (also known as Ein Balad), is farther and more challenging to find. Our youngest son, AdirChai, who is the family expert on maayanot told me about it. From Ein Lavan descend the steps and continue along the road. At the fork stay right, you will see that the blue trail joins the black. The road becomes paved again, there is a gravel path that forks to the left (don’t take it, follow the black trail). When the road turns right and is climbing there’s a dirt path to the left that leads down (marked with a blue trail marker), follow it until it turns sharply to the left. Look for the ruins of a stone building, the pool is below it. If you need a guide contact me. This entry was posted in Hiking, Jerusalem, Nature, Water and tagged family hike, picnic, postaweek2011, summer activity, zoo on May 27, 2011 by Shmuel Browns.